I was impressed when she belted out Whitney Houston's "I Will Always Love You" in a way that no one did it or will ever do it. The next time I saw her, she was playing the piano while singing a Lady Gaga song. After a week, she danced in Party Pilipinas with a Jennifer Lopez hit. No further argument is needed for us to agree that Julie Anne San Jose is a total performer. In fact, her last name should be 'Talent'. When I watched Party Pilipinas live again last November 25, there is this very insisting LSS (last song syndrome) on my mind. I just watched Breaking Dawn's final movie so Christina Perri's "A Thousand Years" kept playing on my head. 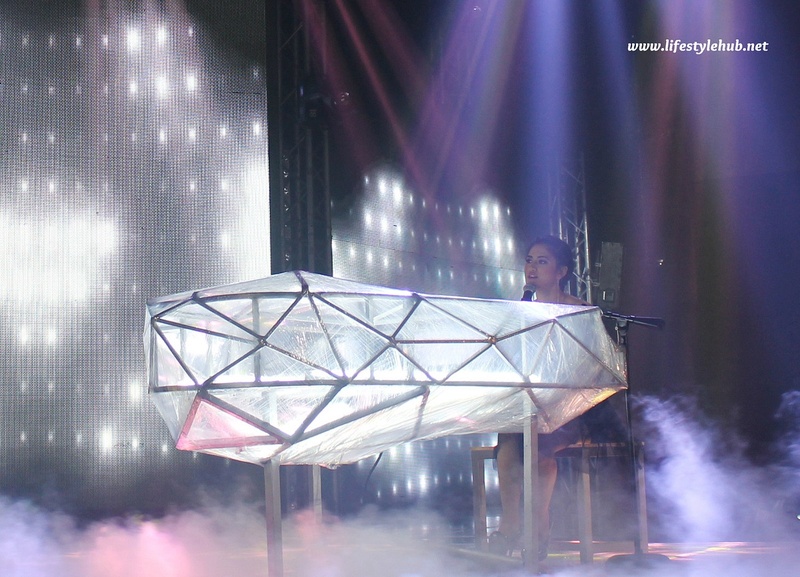 I was enjoying the fast changing sets and a close view of other celebrities when Julie Anne sat with a transparent piano in front of her. TV commercials ran on the small screen so I had a hint that it was break time and she is set to rehearse. One of the show's producers stood in front of her. No other instructions were given, Julia Anne started to play the piano and sang few lines from the song. Then there goes magic. The rowdy audience, some of them busy calling the names of other celebrities, suddenly kept quiet. The song sounded like it was composed for Julie Anne. I could not agree more on the segment producer for choosing this song for Julie. It was nothing less than perfect. 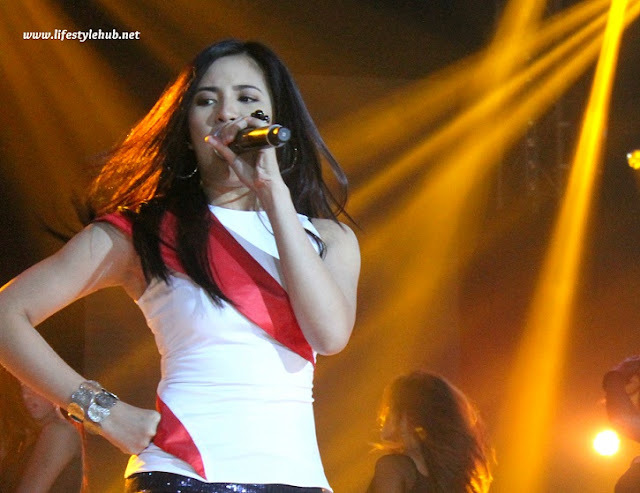 Julie Anne was on her way to sing the chorus when someone shouted, "12 seconds!". I realized it was just rehearsal but it was already perfect for live TV. I held my camera ready for one promising performance and Julie started all over again. Mark Bautista joined her on stage. The teen girls at my back started screaming. "Oh my God! ", one said. "I love you Julie! ", another squealed. I want to hate them for ruining the solemnity of the performance but then again I can't blame them. It was a great moment for their idol.